Hamstring injuries are frequent in sport, impacting individual and team performance, being both problematic for the therapist and athlete. It is therefore beneficial to avoid such injuries. 8 years ago hamstrings strains were the highest contributor to injury within any team sport in the USA, both in college and high school sport. 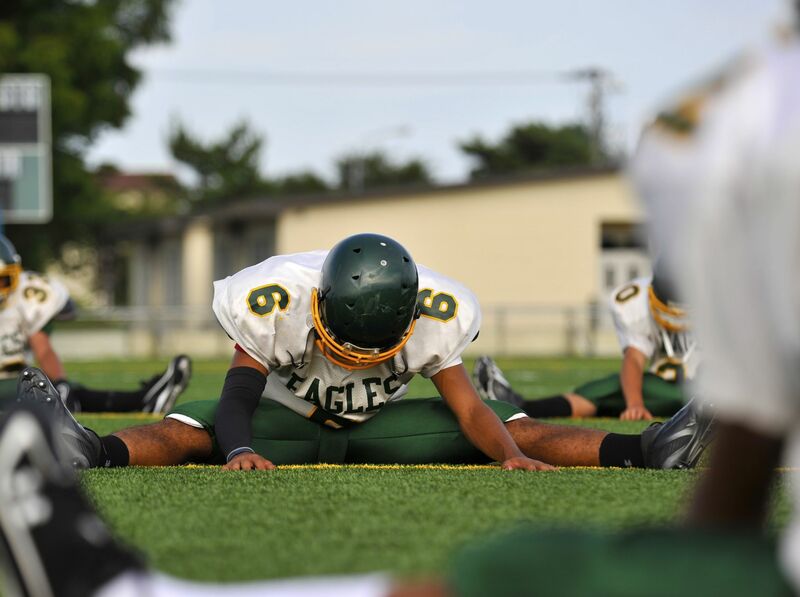 American Football has been found to have a high incidence of hamstring injuries. Elliot et al. 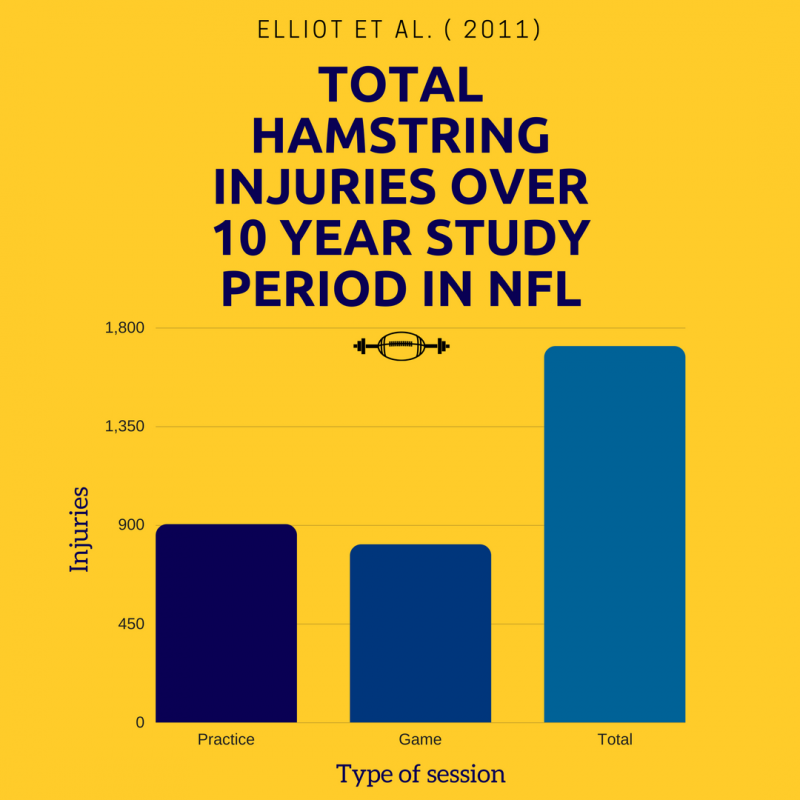 (2011) carried out a 10 year study (between 1989 and 1999) of the occurrence of hamstring injuries in NFL players. Per season, the incidence of injury ranged from 132-210. 52.7% of these reported injuries occurred in training. The majority of these injuries occurred during sprinting. Over the 10 years, a total of 1716 injuries were reported from 1129 individual players. This meant there was a 16.5% re-injury rate. Preventing injury is a key role for both the therapist and Strength and Conditioning coach. One of the first jobs is to recognise those who might be at greater risk of injury than others. 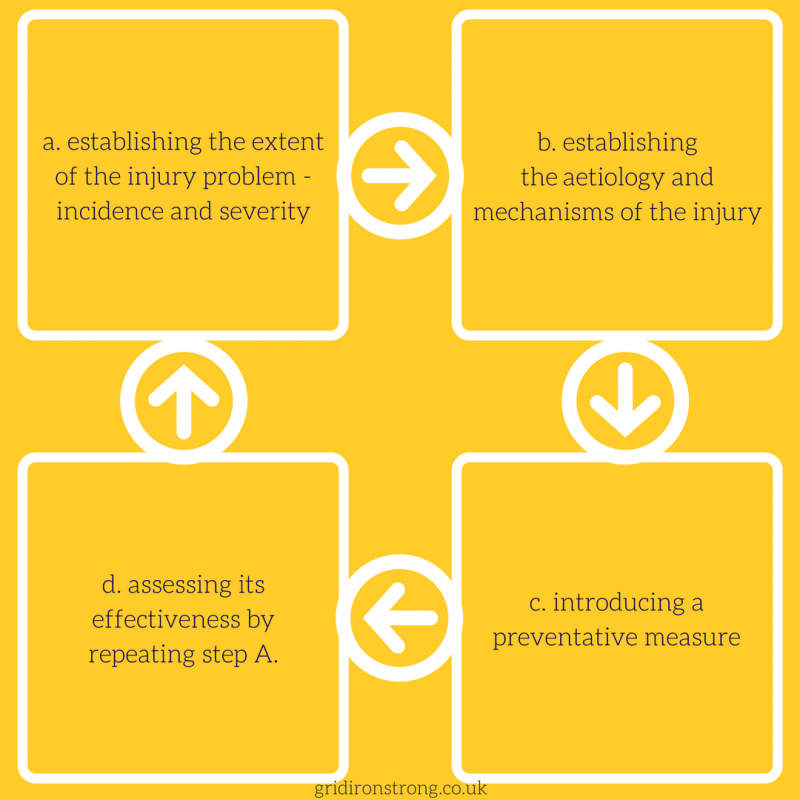 In van Mechelen et al.s (1992) proposed model to prevent injury this is would fall under stage B. Various screening methods have been developed to help predict the possibility of a hamstring strain. Of course the origin of a hamstring strain is multi-factorial but certain factors maybe more likely to influence injury than others. Most agree the history of previous hamstring injury to be a predictor. Strength imbalances between the quadriceps and hamstrings are also a suggested influential factor. Low levels of eccentric hamstring strength have been linked to risk of hamstring strains. Yet a difference in eccentric strength between legs was not seen as a significant contributor to risk of hamstring injury. Studies have reported strength disorders in approx 70% of hamstring injury cases. However it should be noted that it’s unclear if these strength differences occurred following the injury or prior to injury. One studies method of measuring adequate hamstring strength was through a single leg hamstring bridge (SLHB) test. The study by Freckleton (2013) found players who injured the right hamstring had a significantly lower mean right SLHB, however the same wasn’t true for the left leg. One study by Crosier (2008) found that eccentric hamstring/concentric quadricep strength ratio was a strong indicator for injury. Yet a recently published 2-year study (Bakken et al. 2018) found a weak association between the risk of lower limb injury and thigh and hip strength. Studies by Reurink at al., (2013) and Beijsterveldt et al., (2013) have found hamstring flexibility to be an indicator for injury. A study by Fevre et al. (2018) looking at flexibility tests versus functional iso-kinetic strength ratio found interesting results. 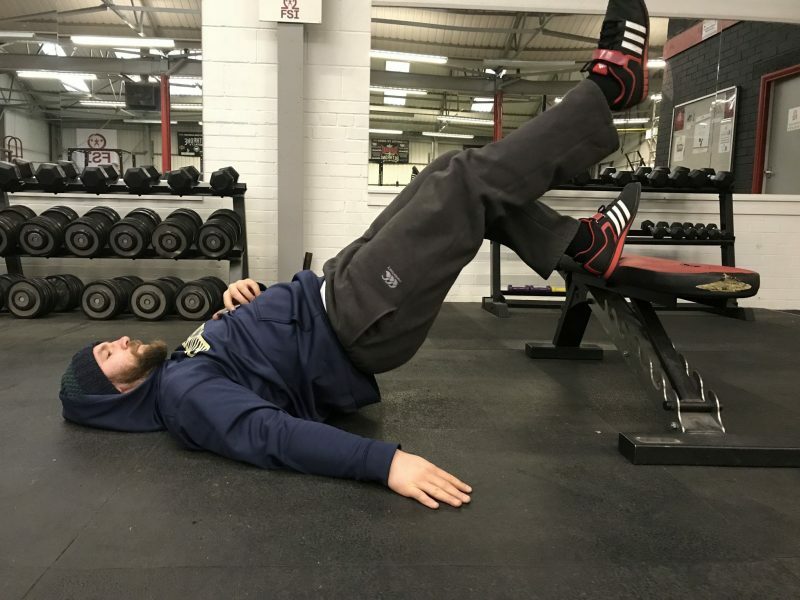 The simple flexibility screening tool consisted of a sit-and reach (SRT), Hamstring Knee Angle Test (HKAT) and the Erector Spinae Muscle Shortness Test (ESMST). 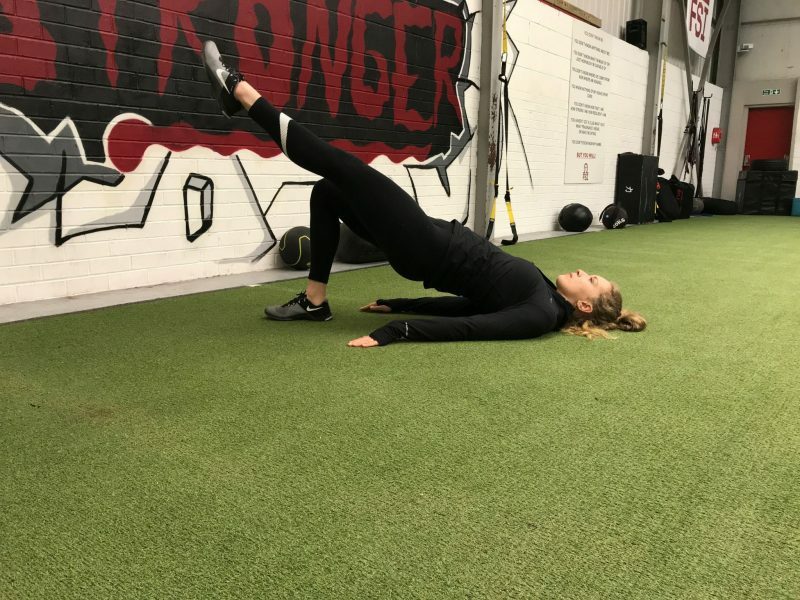 The study found these flexibility tests to be effective in forewarning about the possible bigger risk of hamstring injury, whilst being inexpensive and non time consuming. 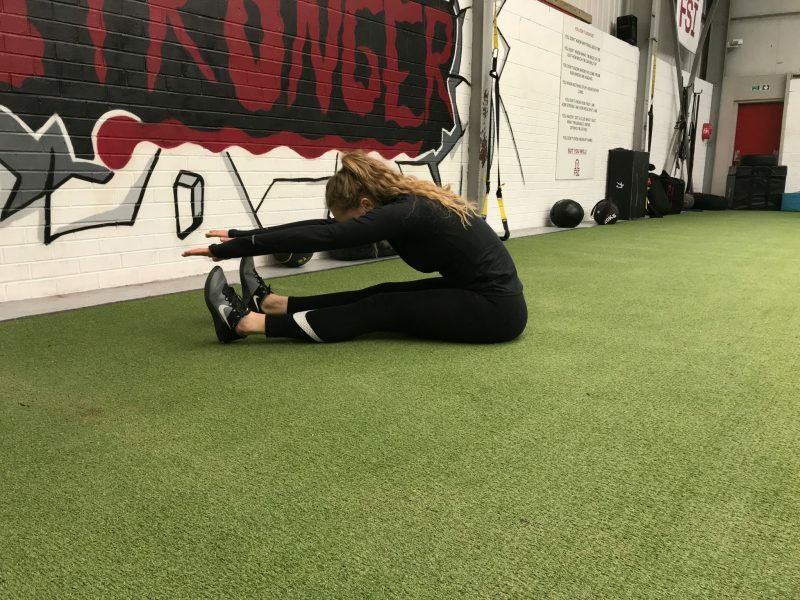 Despite ESMST being the best predictor of injury, this does not mean it is the best indicator of flexibility, but may be used as a sport specific tool within a screening process. Unfortunately using flexibility as a screening tool may not always been seen to be reliable due to being unable to quantifiable measuring it. Interestingly out of the three flexibility screening tools mentioned above, SRT is the most validated by publications, yet was found to be the worst predictor in this study. This could be due to the studies small sample size. A study by Plisky et al. (2006) and Pollock (2010) found athletes with a difference in anterior reach distance between the left and right limb to be 2.5x more likely to sustain a lower limb injury. It also concluded that females with a decreased normalised reach were 6.5 times more likely to occur a lower limb injury. But what does this mean? what is a normalised reach? However a study by Orchard (2001) found no difference in frequency of hamstring injuries between the dominant and non dominant legs. It has been suggested that the strongest risk factor of future injury is previous injury. Motor-control changes due to a previous injury such as movement limitations could be a cause. A study by Kiesel et al., (2014) which studies over 200 Professional American Football Players found fundamental movement patterns and pattern asymmetry as key risk factors for loss of time from competition due to a musculoskeletal injury. It has been suggested that athletes with previous hamstring strains will return to activity with developed maladaptations such as neuromscular inhibition (a reduction in the neural drive/muscular activity due to a decreased reflex) that puts them again at risk of injury. Neuromuscular hamstring training through eccentric strength work has been suggested as a tool to use in the rehabilitation of injury. An Australian football study by Orchard (2001) reports age as a risk for both hamstring and calf muscle strains, but not a risk factor for quadriceps muscle strains. A variation of the SEBT (anterior reach) may be used pre-season as a predictor of lower limb injury (including hamstring injuries). This is a simple test which can be performed with limited resources. Those found with a decreased normalised result can follow a neuromuscular training programme to decrease deficits. It cannot be said with any scientific certainty that flexibility is the best indicator of risk of injury, however ESMST might be the best flexibility predictor of hamstring injury. The results of the above studies suggest it would be wise to reduce muscular imbalances and build eccentric hamstring strength, particularly in those with previous history of hamstring strains. When rehabilitating a hamstring injury the athlete should not be afraid of re-injury. Instead they should follow the appropriate exercise at the correct stage. I’ve seen it all to often that players will miss the last stage of rehabilitation thus risking the further re injury by returning to quickly and not strengthening these vital areas of weakness. More research must be conducted to confidently predict the risk of hamstring injury. Beijsterveldt, A.M.C., Port, I.G.L., Vereijken, A.J. and Backx, F.J.G., 2013. Risk factors for hamstring injuries in male soccer players: a systematic review of prospective studies. Scandinavian journal of medicine & science in sports, 23(3), pp.253-262. Bakken, A., Targett, S., Bere, T., Eirale, C., Farooq, A., Mosler, A.B., Tol, J.L., Whiteley, R., Khan, K.M. and Bahr, R., 2018. Muscle Strength Is a Poor Screening Test for Predicting Lower Extremity Injuries in Professional Male Soccer Players: A 2-Year Prospective Cohort Study. The American journal of sports medicine, p.0363546518756028. Bourne, M.N., Opar, D.A., Williams, M.D. and Shield, A.J., 2015. Eccentric knee flexor strength and risk of hamstring injuries in rugby union: a prospective study. The American journal of sports medicine, 43(11), pp.2663-2670. Freckleton, G., Cook, J. and Pizzari, T., 2014. The predictive validity of a single leg bridge test for hamstring injuries in Australian Rules Football Players. Br J Sports Med, 48(8), pp.713-717. Fyfe, J.J., Opar, D.A., Williams, M.D. and Shield, A.J., 2013. The role of neuromuscular inhibition in hamstring strain injury recurrence. Journal of electromyography and kinesiology, 23(3), pp.523-530. Kiesel, K.B., Butler, R.J. and Plisky, P.J., 2014. Prediction of injury by limited and asymmetrical fundamental movement patterns in american football players. Journal of sport rehabilitation, 23(2), pp.88-94. Iguchi, J., Watanabe, Y., Kimura, M., Fujisawa, Y., Hojo, T., Yuasa, Y., Higashi, S. and Kuzuhara, K., 2016. Risk factors for injury among Japanese collegiate players of American football based on performance test results. The Journal of Strength & Conditioning Research, 30(12), pp.3405-3411. Reurink, G., Goudswaard, G.J., Oomen, H.G., Moen, M.H., Tol, J.L., Verhaar, J.A. and Weir, A., 2013. Reliability of the active and passive knee extension test in acute hamstring injuries. The American journal of sports medicine, 41(8), pp.1757-1761. Orchard, J.W., 2001. Intrinsic and extrinsic risk factors for muscle strains in Australian football. The American Journal of Sports Medicine, 29(3), pp.300-303. Plisky, P.J., Rauh, M.J., Kaminski, T.W. and Underwood, F.B., 2006. Star Excursion Balance Test as a predictor of lower extremity injury in high school basketball players. Journal of Orthopaedic & Sports Physical Therapy, 36(12), pp.911-919. Pollock, K.M., 2010. The star excursion balance test as a predictor of lower extremity injury in high school football players. Previous Post What is Sports Therapy?